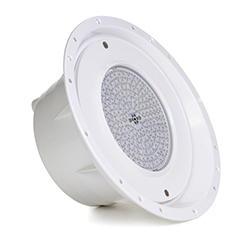 Golden Coast are UK distributors for the Spectravison range of LED lighting. The Spectravision range of LED pool lighting is manufactured in Belgium by Propulsion Systems. Spectravision are distributed in the UK by Golden Coast with some products being on an exclusive basis. Spectravision Moonlight offers a range of fixed and dynamic lighting that is fully compatible with a PAR56 niche and can be installed directly on a concrete, mosaic, metal or wooden wall. The RGB version offers 16 colour modes. 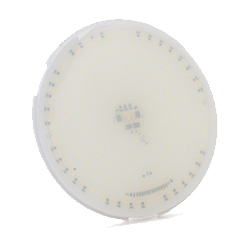 AdagioPro lights offer a range of fixed and dynamic lights that can be remotely controlled. The fittings come in 3 diameters; 50, 100 and 170mm. They feature a wide beam to avoid dark spots in the pool and offer 11 colour modes and a dimming function.